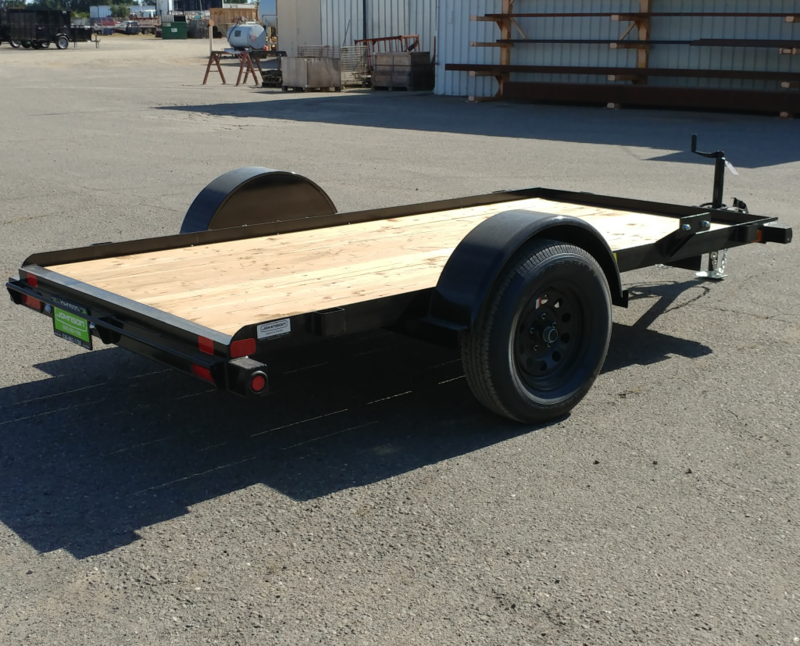 Model 30SA-10-SPMT in the CH version is just like a standard 30SA except there is no front rail and no side rail. 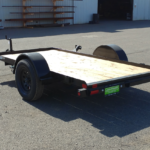 The CH stands for Car Hauler style, so it’s a regular flat bed style trailer without the rails in the way. 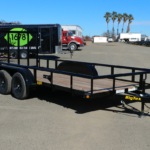 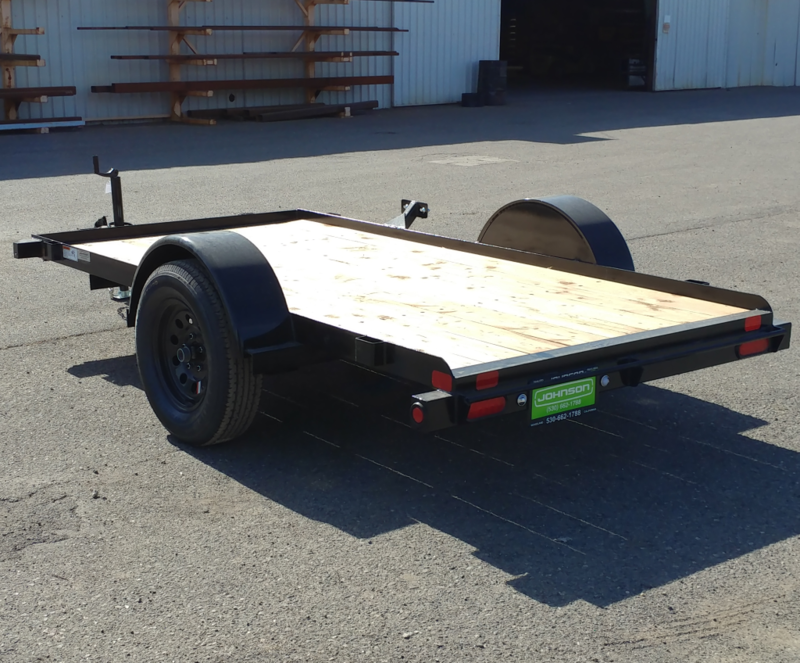 Sometime there’s an need for a small utility trailer without sides — this is it. 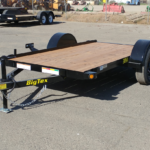 Model 30SA comes standard with a 3,500lb. 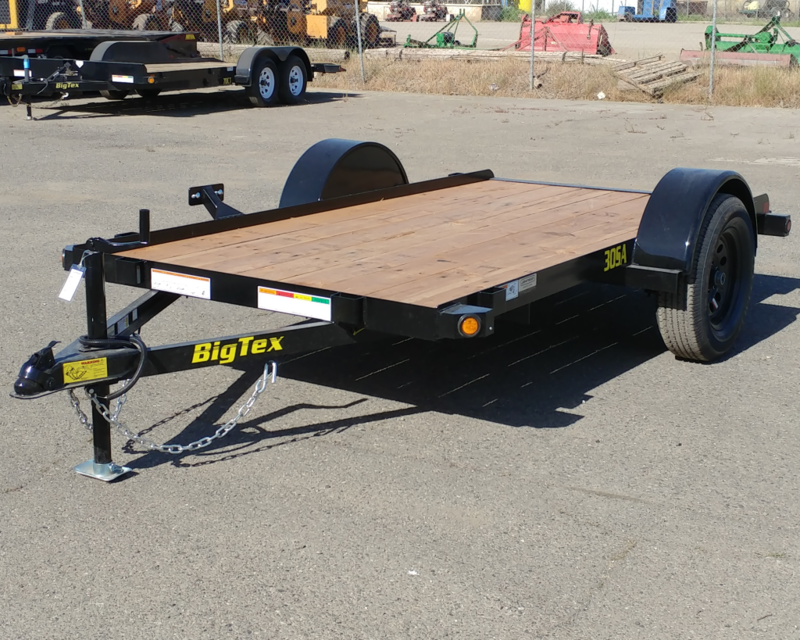 Dexter EZ-Lube axle and 15″ tires and wheels. 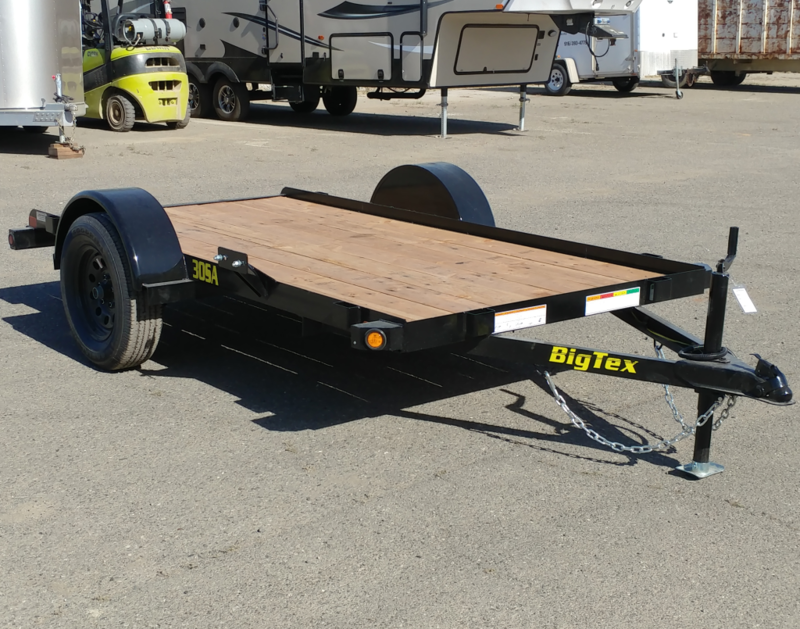 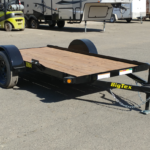 It comes with a round bar that goes across the back for holding the front edge of ramps or for tying down your cargo. There are 4 tie down loops welded on the inside of the frame angle iron for tying down your cargo. 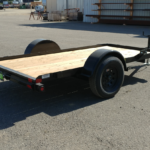 Just like the standard 30SA, the 30SA-CH is a tough little utility trailer that’s built to last for many years. 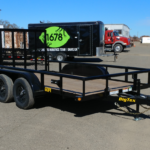 Payload capacity is about 2,400 lbs.